Loose-fill insulation consists of small particles of fiber, foam, or other materials. These small particles form an insulation material that can conform to any space without disturbing any structures or finishes. 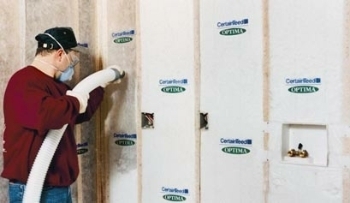 This ability to conform makes loose-fill insulation well suited for retrofits and for places where it’s difficult to install some other types of insulation. 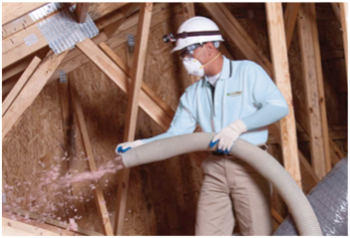 Loose-fill insulation can be installed in either enclosed cavities, such as walls, or unenclosed spaces, such as attics. Installation usually involves using special equipment that blows the insulation through and into the cavity or space. This includes the “two-hole method,” which entails drilling two holes spaced vertically between the exterior walls’ framing studs. The holes should be 2 inches (5 centimeters) in diameter. Working between each stud, drill one hole 16 inches (41 centimeters) from the top of the wall. Drill the other hole 24 inches (61 centimeters) from the bottom of the wall. Blow the insulation into the holes and then seal the installation holes. In conventional and cathedral ceilings, insulation is easier to blow in if an access opening through the ceiling already exists. Otherwise, it may be necessary to drill holes in the ceiling or between the roof rafters. Researchers say it’s possible to install loose-fill insulations in wall cavities without settling. If the cavity is completely filled with insulation at the proper density, no significant settling should occur. A general density guideline for walls is roughly 3.5 pounds per cubic foot (17 kilograms per cubic meter) of wall cavity for cellulose and 1.5 pounds per cubic foot (7 kilograms per cubic meter) for fiberglass or rock wool. These specifications are roughly twice the density of horizontal applications. Fiber glass insulation is blown behind a special fabric, or equivalent, in new construction. 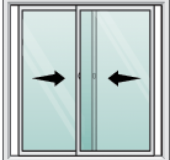 It can also be used for retrofitting existing sidewalls. 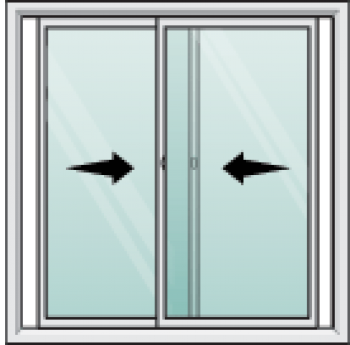 This product is designed for closed-cavity applications only.